Adventure. Peril. Lost Jewels. And the Fearsome Toothy Cows of Skree. Janner Wingfeather's father was the High King of Anniera. But his father is gone. The kingdom has fallen. The royal family is on the run, and the Fang armies of Gnag the Nameless are close behind. The Moody family moves from New Hampshire to a Colorado ranch. 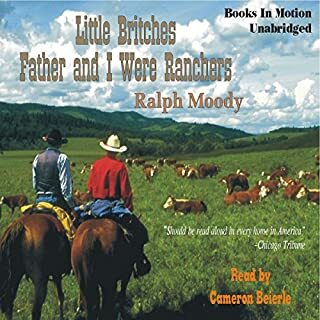 Experience the pleasures and perils of ranching in 20th Century America, through the eyes of a youngster. It was the body of a tall stout man. On his dead face, a handsome pair of gold pince-nez mocked death with grotesque elegance. 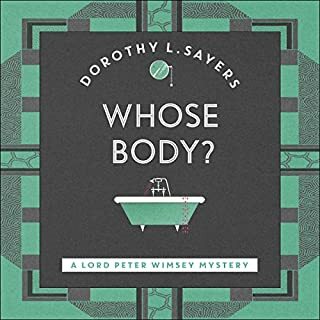 The body wore nothing else.Lord Peter Wimsey knew immediately what the corpse was supposed to be. His problem was to find out whose body had found its way into Mr Alfred Thipps' Battersea bathroom. Once, in a cottage above the cliffs on the Dark Sea of Darkness, there lived three children and their trusty dog Nugget. 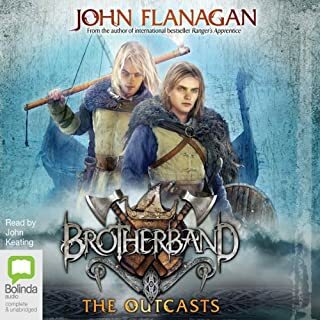 Janner Igiby, his brother Tink and their crippled sister Leeli are gifted children as all children are, loved well by a noble mother and ex-pirate grandfather. But they will need all their gifts and all that love to survive the evil pursuit of the venomous Fangs of Dang who have crossed the dark sea to rule the land with malice and pursue the Igibys who hold the secret to the lost legend and jewels of good King Wingfeather of the Shining Isle of Anniera. Andrew Peterson spins a quirky and riveting tale of the Igibys extraordinary journey from Glipwood's Dragon Day Festival and a secret hidden in the Books and Crannies Bookstore, past the terrifying Black Carriage, clutches of the horned hounds and loathsome toothy cows surrounding AnkleJelly Manor, through the Glipwood Forest and mysterious treehouse of Peet the Sock Man (known for a little softshoe and wearing tattered socks on his hands and arms), to the very edge of the Ice Prairies. Full of characters rich in heart, smarts, and courage, On the Edge of the Dark Sea of Darkness presents a world of wonder and a tale children of all ages will cherish, families can listen to, and groups are sure to discuss for its layers of meaning about life's true treasure and tangle of the beautiful and horrible, temporal and eternal, and good and bad. "So good, smart, funny, as full of ideas as action." 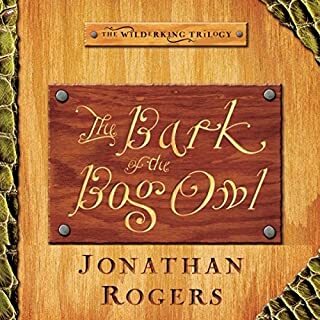 Jonathan Rogers, author of The Wilderking Trilogy. Amazing start to an enticing series! A fantastic read! Characters have such depth and intrigue for young and old readers alike! Imaginative settings and characters, exciting plot with compelling twists, strong morals — an excellent story! I listened to the audiobook version by Oasis Audio. I found the narrator a little slow and lumbering, and there are some places that should have been re-recorded. I had a little difficulty staying engaged in the first part of the book because of this, but I think it is no fault of the author. Once the story picked up speed, I never gave another thought to the narrator. I became so absorbed into the plot that I never wanted to pause the audio. Peterson's story kept me begging for the next page and daydreaming about what comes next. I am chomping at the bit to read the two succeeding books in The Wingfeather Saga! FIVE STARS! This is a war story. A compelling, intriguing, sometimes quirky but deeply moral war story. This is the kind of story that helps us believe that we could stand and be counted if called upon to do so. This is a story that feeds the imagination and stretches the soul and it is a beautiful testimony to the power of family. It is a very good story to have in our moral imaginations. Getting into the early pages is more than a bit disorienting. Like Middle Earth, we have humans and other creatures cohabiting in a war torn land. Unlike Middle Earth, the names are goofy and seem like a long series of smart jokes. It was enormously helpful for me to know that Mr. Peterson intended this to be the "vastness of Lord of the Rings" with the "whimsey of the Princess Bride". I tend to prefer more serious character sketches but once I allowed myself to get into the style, I found that it actually works really well. "Oh, yes, the people of Skree were quite free, as long as they were in their homes by midnight. And as long as they bore no weapons, and they didn’t complain when their fellow Skreeans were occasionally taken away across the sea, never to be seen again. But other than the cruel Fangs and the constant threat of death and torture, there wasn’t much to fear in Skree." It is clear from the introduction that we have an oppressed people who are living a shadow of real life. We know right away that this is a story about good versus evil and that the characters we are about to fall in love with are suffering. The first portion of the book uses humor and quirkiness to reveal this tension. Like any good epic, this home setting is peppered with questions about identity, purpose and intention. The characters are sketched with the promise that they will be filled in as we go - but that they themselves still have much to learn about their history and how that will reveal their future. It is a very good setup and the layers are pulled back slowly. The quirkiness dissipates when the hero struggle begins to emerge. We still have weird names and strange creatures with goofy tendencies, but those become servants of the text instead of the focus once the children are in jail. What I found particularly rewarding about this text is that is does not hold back on the need for people to behave in heroic ways even when it may cost them everything. There aren't many cheap saves or easy outs. This is a dark and dangerous culture war and it requires character, love, faith and hope to survive. The family context is gorgeous. It is so authentic. All of the normal family battles are present but they are met with love and loyalty and faith. Faith in each other and in The Maker and His providence. An excellent first book in a series that I can't wait to unpack. I would rate the intensity of this book as being on par with the early Harry Potter books or The Hobbit. More intense and mildly violent than Narnia or The Green Ember but just as moral, wholesome and heroic. In fact, there are a number of things in the text which remind me of the HP books. There is no witchcraft or wizardry but there are mythical creatures who are otherworldly and there are some questions about one character who was human and is now somehow altered. Classic fantasy type of stuff. Like The Green Ember, a new book with an old soul. Terrific story and fine performance. My 11 year old boy loved it. And, so did my wife and I! Definitely intense at times. 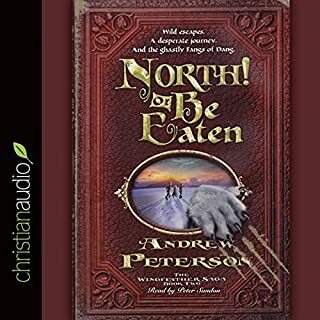 Andrew Peterson has a captivating writing style that combines an excellent story, lovable characters, unexpected plot twists, and delightful humor! This book is enjoyable for people of all ages. Everyone I've shared this story with has loved it, most buying the following books as soon as they could. If you want a great book to read alone or with your family, On the Edge of the Dark Sea of Darkness is the ideal one. 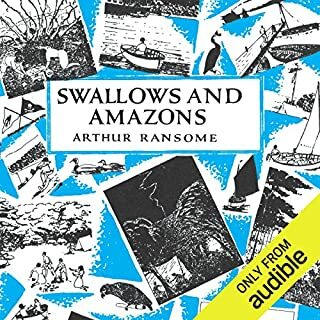 Peter Sandon has the perfect voice for a narrator. Deep, powerful, and British, it is perfect for this story. Near the start there is a gloomy poem that when he reads comes to life as a prophecy of doom; perfect. At times of humor, his voice carries the straight British tone that communicates far more humor than a jovial narrator ever could. Overall, Peter Sandon has one of the best narrating voices I have ever heard. My kids loved this story! Literally couldn't wait until the next time we listened. We will listen to the next book in the series. I enjoyed this story, the characters are interesting, there is lots of action & a mystery too. The narration is excellent!!! Buy this and surrender to the same fixation to the series you felt when you picked up your first chronicles book. I dare say this series may be as good. This book was recommended by my 11 year old daughter. I put it off and once I decided to read it, there was nothing stopping me. Kept me on my toes wanting to know more and more. 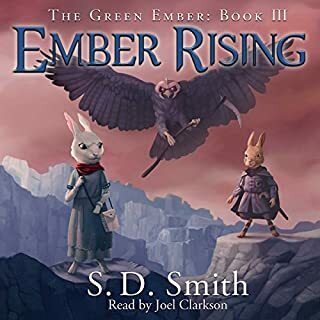 Recommend if you liked The Green Ember series. 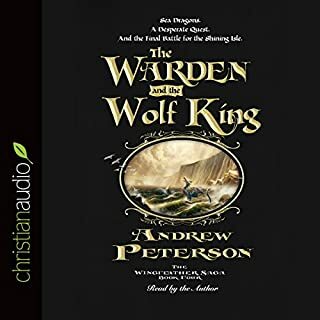 I love Andrew Peterson's works as a musician and was so excited to hear of these books years ago. 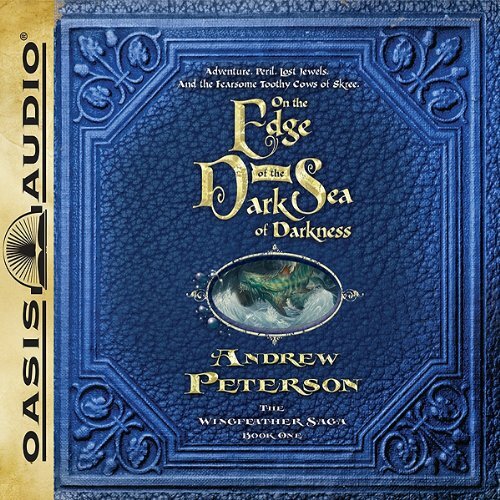 Its a great story, but I wish Andrew Peterson could have read all the books. This narrator does not bring the book to life well. He almost sounds bored as he reads. Nearly 5 hours into the story, nothing tangible has happened, except the children get captured and saved repeatedly - with no ingenuity as to the method. The characters have no personality whatsoever. Bland, slow story. I sometimes enjoy fiction for children more than adult fiction, and this is certainly a marvellous example. 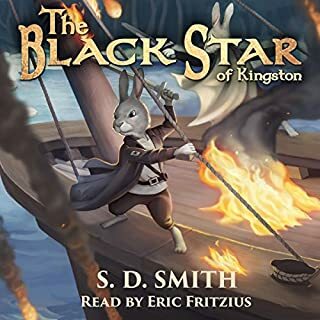 Having failed to become immersed in Terry Pratchett's Discworld, which is just too clever for its own good, I was a bit apprehensive about another new fantasy world, but this book is a gem. I can't quite work out what makes it so different, except perhaps Andrew Peterson's use of words. I was not surprised to find out that he is a song writer. The Iggiby family (that's the only problem with audio books - you can't see how things are spelled!) 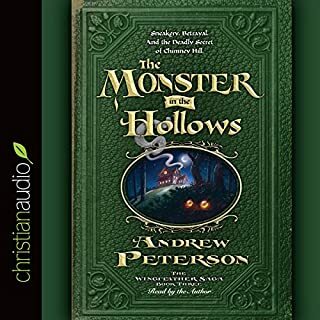 are brave and funny and adventurous, there is just the right amount of fear and excitement, and although I guessed one of the mysteries before the end, there is still plenty to look forward to in the next book. The other characters and creatures are beautifully illustrated, and the whole world feels real and believable. And special mention for the excellent Pete the Sockman, and the lovely voice of the narrator Peter Sandon. I bought this initially because it was cheap, but I shall definitely listen to it again because it was great!! what a bargain! 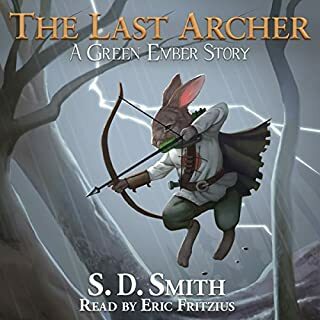 I have about one hour to go before the end and there is obviously more to come from this author, I hope that they are also released as audiobooks. The narrator was really enjoyable and I became immersed in this slightly crazy world and it will be a shame when I finish.